Here's another good value wine from Sean Minor. It's an easy drinking Napa Cab that leans toward cherry and red berries with lingering notes of licorice and spice. The reference price is $18. 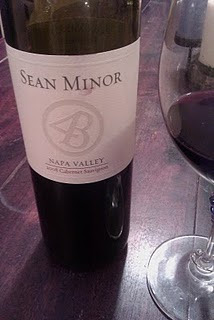 We've reviewed a number of Sean Minor wines here at The Wine Cask Blog and they're consistenly well made. This is my first tasting of a Cabernet. Raise a glass!